As BHD is a hereditary disease, it is important to realise that you may develop more than one tumour over time. With non-hereditary (sporadic) kidney cancers, the standard treatment is to remove the whole kidney. This is not appropriate treatment for a BHD patient, unless absolutely necessary, as you may develop tumours in the remaining kidney at a later date. The goal of treating BHD kidney tumours is to preserve as much kidney function for as long as possible. BHD kidney tumours are slow growing, and often do not spread as long as they are smaller than 4 cm. 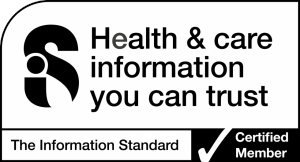 BHD experts recommend having regular kidney scans, and removing any tumours when they reach 3 cm. In most cases, BHD patients who develop kidney cancer will only need one surgery in their lifetime to remove tumours. In rare cases, usually when someone doesn’t know they have BHD and didn’t have regular scans, a BHD patient only finds out they have kidney cancer very late in the disease course. This might mean that the tumour has spread, or that there are so many tumours in one kidney, that the kidney has to be removed. In these cases, the patient will need additional treatment. There are a number of treatments available such as tyrosine kinase inhibitors, mTOR inhibitors, and immunotherapy, and these treatments are discussed on the Advanced kidney cancer treatments page. If you do need to have a large amount of kidney tissue, or even a whole kidney, removed (radical nephrectomy), it is still possible to live a normal life. However, keeping your remaining kidney healthy is very important, and there are a number of lifestyle changes you can make to do this, such as maintaining a healthy weight and blood pressure, and not smoking. Your doctor will be able to give you more information about this. Non-surgical treatments for tumours that have spread to other parts of the body. 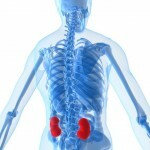 Have you had any kidney treatment and want to offer advice, or would you like to know more? Why not post your advice or questions on our forum or the BHD Syndrome Facebook Group?